Can Stems Finally Make Multi-channel DJ Audio a Standard? 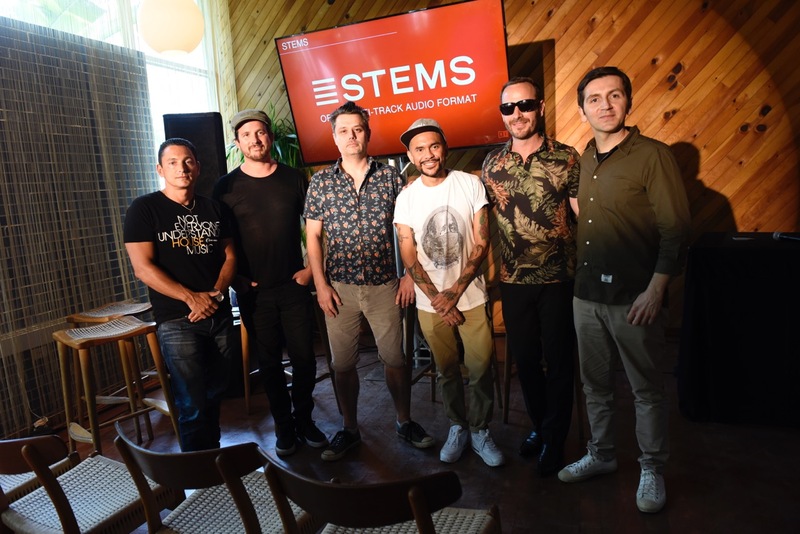 Native Instruments CTO and President Mate Galic introduces Stems at Miami’s Winter Music Conference. Image courtesy Motormouth Media. The path forward is clear: there’s no reason in this age of digital producing and DJing that music needs to be stereo. The need is there, but so far, not the solution. A file format announced in a press briefing at Miami’s Winter Music Conference and made public today wants to succeed where others failed. It’s called Stems, and there are a few details that make it different. It’s simple. “Stems” – the format – include four tracks. So that could be bass, drums, melody, vocal, for instance. (Or bagpipe, castrati chorus, tambourines, and banjo. But the point is, dividing things into four makes a lot of sense.) You can also choose the order, color, and add names to individual tracks. It’s compatible and built on existing standards. A new file format? Good luck. (See xkcd #927.) But Stems uses an MP4 container format (that’s MP4 only, not MP3). Load your Stems file onto any software or hardware that supports MP4, and you’ll get stereo playback of the mix – including on the Pioneer CDJ. ID3 tags for the track work, too (for the overall mix). Load it into software that supports Stems – which we’re assuming will most likely be some sort of DJ software – and you can play back the individual parts. (And mix them, remix them, add effects, whatever.) It’s really just four MP4s. It’s free for anyone to use. An official website coming in June will detail how to make the files. There will also be a free Stem Creator for anyone wanting to create their own files. And the file format will be not only detailed on the Stems website in full, but there are no licensing fees for creation, distribution, or use. (No, you don’t have to pay to get the specs, either – I’m looking at you, MIDI.) 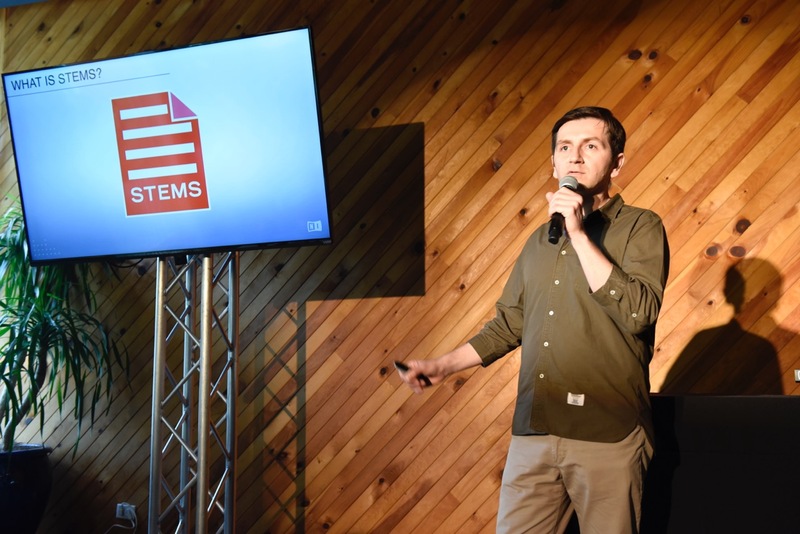 No word yet on how the Stems branding will work. It’s backed by some key players. Native Instruments announced that Traktor Pro 2.7.4 or later already have Stems support. (See the public beta.) Beatport, Juno, and Traxsource all promise to sell Stems format starting in June. In Miami, DJ/producer Luciano and KCRW’s Music Director Jason Bentley joined a panel to introduce the idea. 16 labels have chimed in with support, too, including Mobilee, Monkeytown, 50Weapons, Get Physical, and InFiné. I suspect it’s really the labels and stores, combined with Traktor, that could kick-start this thing. It’ll be easy to DJ with. Any group of four controller faders/encoders can be mapped to the different parts – the structure of NI’s own F1 and new D2 all map logically, and so will a lot of other things. Now there’s a reason to use it – money. The Stems backers are pretty direct about their appeal: release Stems so you can charge more for your music. And while the pitch is for a “premium” price, the timing is also essential. With Beatport launching its own free streaming service, with listeners more likely to stream, and with DJ apps like djay even adding Spotify support, producers and labels need a format that they can still sell. Vinyl alone probably isn’t enough to keep them afloat. Who’s it for? The main audience is clearly DJs: the idea is to convince producers to share stems in a standard format that makes it easier for DJs to think about playing with individual tracks and not only the mixdown. The Stems FAQ suggests even producers might want to use Stems to move their own music between their production software and a live set. That’s less of an issue if you’re DJing with Ableton Live, but certainly could be a boon if you use Traktor, Serato, and so on. I imagine this could also target consumer listeners – remix your artist’s favorite tracks. See NinjaTune’s NINJA JAMM for one take on this idea. Can it be a standard? Now, it’s really technically a de facto standard, and a license free standard, not a standard or open standard in the technical sense – there’s no real governance that I can see on the “standard” side, and it’s “open” only in that it’s published and free to implement. But that could be enough, with the success of MIDI a prime example. What’s the competition? Interestingly enough, even Wikipedia has an article on stem releases. The reason? There really aren’t that many such releases to begin with. Trent Reznor and Nine Inch Nails deserve some real credit, with remix.nin.com, Year Zero (which also included GarageBand and Ableton Live formats), and Ghosts I–IV. Open licensing means you can remix the last of these and redistribute what you make; the stems in this case will mostly be for DJs to use when playing, but would have to be licensed to sample. And looking through that list, you see a confirmation of what you might suspect – most release stems in simple stereo formats, and just give you more files. It’s even possible to do this with iTunes, easier still with Bandcamp. But this isn’t a terribly common practice, and releases for specific DAWs have tended to be sporadic and typically focus on remix artists, not DJs. Well – wait a minute. What makes a creative set is not necessarily doing mash-ups of stems from different songs or cutting out the vocal. So let’s ponder this: it really will be up to both the artist releasing tracks, and the DJ using stems, to determine whether using stems is a good idea. I suppose the hope is that this gives creative DJs additional choices – even if (as you’ll see raised in comments) it might also make bad DJs worse. Then again, lots of things can make bad DJs worse – turning down their master volume may be the way to make them better. The key to making use of Stems may be making use of them selectively, as with any other special technique. DJing has done just fine with mixing stereo tracks since the beginning, often in two-channel configurations, even if product manufacturers increasingly push live remixing as a way of convincing you to buy new hardware and software. So, making use of Stems should be a means to an end. And tasteful DJs may find a way of using this that still shows some deference to the intent of the original track. But that also means we’ll need to see support beyond just Traktor for the format to really take off. We’ll see if other app developers get onboard, or decide this is just an “NI thing.” And hardware support would surely lag software. At least Traktor solves some of the chicken-and-egg problems of a format of this kind: it has a built-in audience of producers and DJs. I’m not even sure what ideal DAW support should look like, since DAWs generally have an arbitrary number of tracks. But that means the Stem Creator has to work pretty well in the interim. But I have to say, while I met the headline for the media announcement with a heavy dose of skepticism, the more I learn about Stems, the more optimistic I am. There’s clearly desire now for DJs to set themselves apart, particularly in the age of streaming and instant access, so the demand on that side is there. And there’s desire on the part of artists and labels, not least as they increasingly sell music to specialists and DJs. What might make Stems work even given past failures to solve this problem is that it’s actually easy as well as desirable to implement. And that may lead to a “built it and they will come effect” – because it’s both easy to do and easy to justify. And it’s certainly a lot better than some new proprietary format — or the status quo of random a cappellas here and there or removing vocals with (gah) EQ. The announcement event. Okay… so, it’s hard to make a file format visual. But the future is so bright, Jason Bentley from KCRW is wearing shades.